Research Corporation Technologies (RCT) in Tucson, Arizona, is a technology investment and management company that provides early-stage funding and development for promising biomedical companies and technologies. RCT focuses on technology investments with origins from universities and research institutions worldwide. RCT has played an early role in the commercial success of some of today’s important pharmaceuticals, diagnostics, medical devices and life science tools. The company’s technology investment and management activities have played a critical role in the commercialization of the blockbuster anticancer drugs cisplatin and carboplatin, the PSA blood test for prostate cancer, technetium-99-based imaging agents, granulocyte-macrophage colony stimulating factor (GM-CSF), nonimmunogenic delivery of protein-based drugs, the fibronectin artificial antibody scaffold, the Pichia Protein Expression Platform and Vimpat® (lacosamide) for the treatment of seizures in patients with epilepsy. 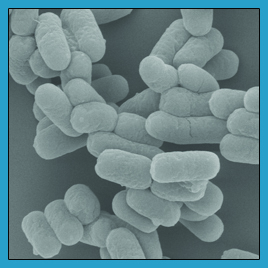 RCT’s Endotoxin Free ClearColi Expression Technology contains a genetically modified E. coli strain with a modified version of lipopolysaccharide (LPS). The ClearColi Expression Technology produces proteins that are virtually free of human endotoxin activity reducing the time, cost, and loss of product associated with endotoxin removal. Importantly, human cell-based assays can be performed without concern that LPS (endotoxin) contamination could be interfering with results. Additional cell lines for plasmid production and phage display are also planned for release, creating a complete system for scientists to study a large variety of biologic compounds for therapeutic applications. Through a partnership with Lucigen, RCT offers kits that contain the Endotoxin Free ClearColi Expression Technology to researchers worldwide. The purchase of a kit from Lucigen allows the user to evaluate the ClearColi Expression System for up to one year. If the user wishes to continue using the ClearColi Expression Technology, RCT offers flexible nonexclusive licenses for commercial use and sales, and licenses for commercial research and in-house development. These licenses have various fees and royalty rates tailored to different business plans. See our Purchase ClearColi and Licensing pages for more information.